Installing Exchange 2000 Server on a server computer. Diagnose and resolve problems involving the upgrade process. Manage coexistence with Exchange Server 5.5. Not everyone is ready for 2000, of course. Use the Exchange 2000 Active Directory Connector. Make a variety (POP, IMAP, IRC, Outlook, Outlook Web Access) of clients work the right way. Configure server objects for messaging and collaboration to support the assigned server role. Create and manage administrative groups. Configure separate Exchange 2000 Server resources for high-volume access. Resources include stores, logs, and separate RAID arrays. Diagnose and resolve Exchange 2000 Server availability and performance problems. Configure Key Management Service (KMS) to issue digital signatures. Manage user and information store association. Diagnose and resolve problems that involve user and information store placement. Problems include security, performance, and disaster recovery. Create and manage address lists and distribution groups. Diagnose and resolve Recipient Update Service problems. Manage and troubleshoot messaging connectivity. Manage messaging queues for multiple protocols. Monitor link status and monitor messages between Exchange 2000 systems and foreign systems. Configure and monitor client connectivity. Clients include Outlook 2000, Outlook Web Access, POP3, IMAP4, and IRC. Diagnose and resolve problems reported by non-delivery report messages and public folder replication problems. Diagnose and resolve client connectivity problems. Problems include DNS structure, server publishing structure, DS Proxy/DS Access, address resolution, Instant Messaging clients, various connection protocols, and non-Windows 2000 environments. Monitor services use. Services include messaging, Chat, public folder access, Instant Messaging, calendaring, and Instant Messaging by using System Monitor. Manage growth of public and private message store databases and growth of user population and message traffic. Monitor the growth of client use. Clients include Outlook 2000, Outlook Web Access, POP3, IMAP4, and IRC. Manage recipient and server policies. Diagnose and resolve problems that involve recipient and server policies. Optimize public folder and mailbox searching and perform full-text indexing. Diagnose and resolve backup and restore problems. Restore user data and System State data. Configure a server for disaster recovery. Configurations include circular logging, backup, and restore. Diagnose and resolve security problems that involve user keys. 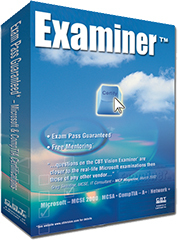 For a list of all the topics you need to know to pass this exam you can visit Microsoft's official web page for the 70-224 exam.